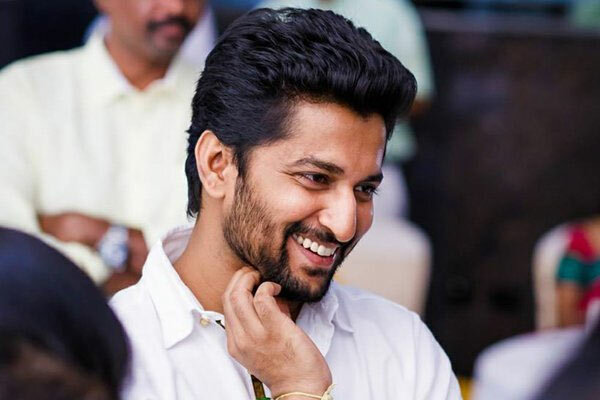 Natural Star Nani is getting ready to cast a magic spell on movie lovers with his upcoming entertainer Jersey which is progressing at a brisk pace under the direction of Gowtham Tinnanuri of Malli Rava fame. Nani who recently got shocks in form of Krishnarjuna Yuddham and DevaDas decided to stick to doing different genre roles choosing novel stories. As such he is turning middle aged cricketer trying to enter into the Indian Team and already the film's teasers and trailers are generating tremendous interest. Nani is enacting scenes with utmost commitment and in the midst of his enthusiasm; he injured his nose while enacting a scene in the sets of Jersey. The moment news spread, fans and movie lovers got worried. However the film unit revealed that the injury is not that serious and Nani will resume shooting soon. Nani is romancing Shradda Srinath in the film which stars Satyaraj, Brahmaji, Subbaraju, Rahul Ramakrishna, Rnot Kamra in important roles. The music is scored by Anirudh Ravichander.